We promote reading in many ways in the JS Library. Currently we are running the reading programs below. This is a new program designed to promote reading across the College. Students, teachers, ancillary staff and parents are encouraged to recommend a book. 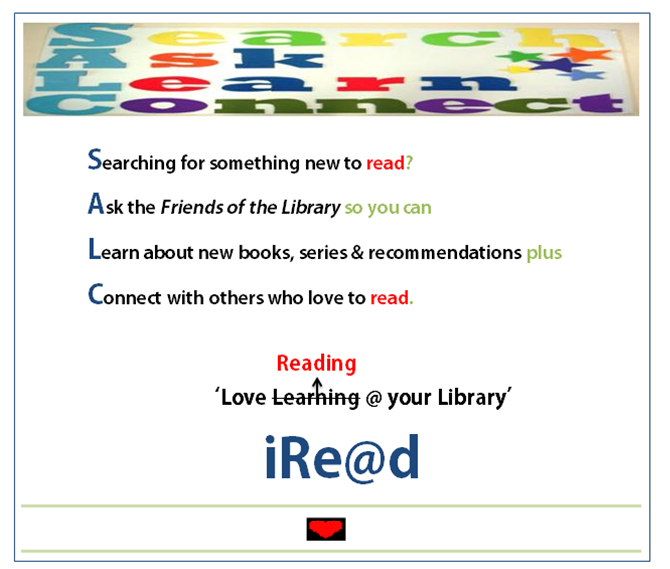 Recommendations can to be emailed to any of the staff in the JS Library. In conjunction with the iRe@d project, readers will be given the opportunity to share their reading recommendations. Using Edmodo “The Book Worms” Reading Club and The reading wall on the JS Library blog pages. 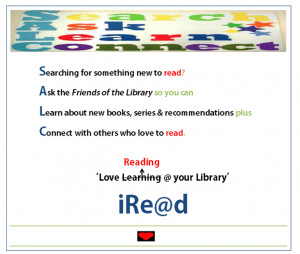 This is specifically designed for those who like to connect about others about their reading using online tools. Following the introduction of e-readers in the Junior School this concept allows for sharing about e-books. Designed to foster the PYP Learner Profile and Attitudes with the classes this award is for the class demonstrating these qualities and attributes in their weekly borrowing visits. The book that you simply must share- as it was Awesome. http://jssalc.edu.glogster.com/glog-reading/Don’t forget to go the Junior Library OPAC home page to see who was “caught” reading in the library. Write a review and submit it. Best review each week allows the reviewer to choose from the Lucky Dip – a selection of books and book related things. See the display in the JS Library with our FEATURE BOOKS & RECOMMENDED READING. Join the Edmodo group – THE SALC BOOKWORMS READING CLUB. See Mrs Boulton for the code. I like reading bionicles. I like the characters and the guns. I like read Beast Quest and Zac Power. These are adventure books and they are fun to read. Recommended for boys aged 8-9 years. I think boys should read these because they are really funny. There also very good because they keep you excited. Ilike transformers,zacpower and mania i would recomenned it to anyone 8-10.
i like to read the just books and funny books. I like reading harry potters because there are a great adventure and they have a great story in them and they have a great author. I like books that are not true. I like reading about scary books. i like just books and books by Pual jennings because they are funny. I like reading fishing and boating books. I’m commenting on kip.I thount kip was funny.